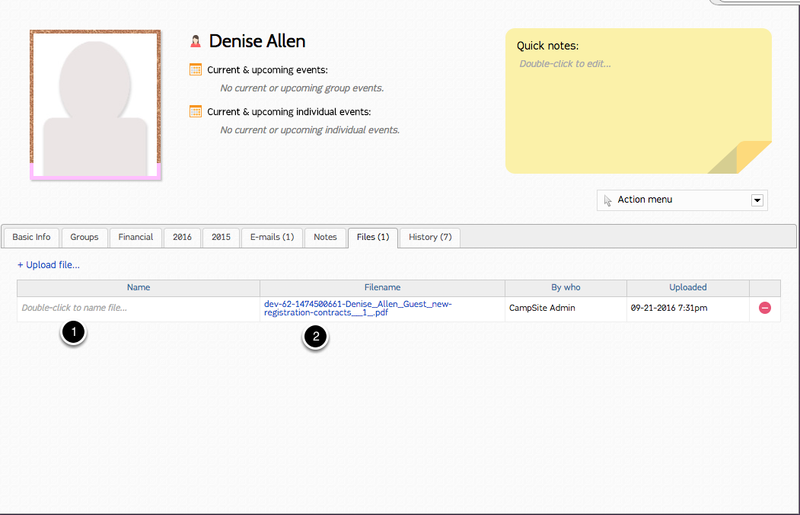 The "Files" tab allows you to upload documents to a Guest's Profile. 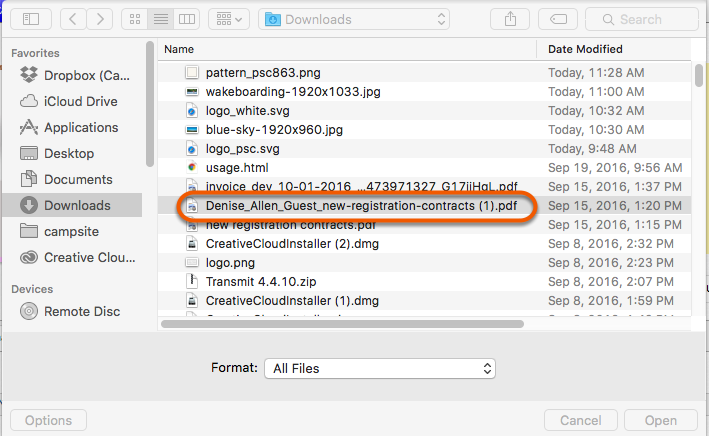 To attach a file to a Camper Profile page, click "+Upload file..."
Files appear in chronological order, with the newest file at the top. Double click to rename a file. Click the Filename to open the file.